Kick those winter blues with soups, stews and side dishes packed with winter vegetables! Just because it’s cold outside doesn’t mean that you can’t get nutritious, healthy veggies that are still in season. Here are our top 5 vegetables that are available during the winter months and several suggestions for how to mix up your menu in the new year! You probably already know that carrots are excellent for your eyes. Beta-carotene, an antioxidant found in high amounts in carrots, is a compound that changes to vitamin A in your body. In addition to being important for healthy eye and skin development, vitamin A also for boosts your immune system! Recent studies indicate that connections exist between carrot consumption and cardiovascular health as well as a reduction in cancer risk. While the research is not conclusive, the current results appear promising. Want a unique dish to serve your family this winter? Try this recipe for Quinoa with Moroccan Winter Squash and Carrot Stew from epicurious.com. It’s vegetarian and high in protein! Another root vegetable, parsnips sort of look like white carrots. Parsnips generally have a slightly higher concentration of sugar making them a little sweeter than carrots that mixes well with stews and soups. In addition, parsnips contain lots of poly-acetylene antioxidants which have anti-inflammatory and anti-fungal properties. For an easy way to improve your next vegetable soup or stew, chop up some parsnips and toss in them in to your stock pot when you add carrots, potatoes or other hardy veggies. Or, go all out with this Spicy Roasted Parsnip Soup recipe from the BBC Good Food blog. Maybe potatoes aren’t a trendy vegetable choice for many eaters. However, if prepared in a healthy way, this inexpensive staple has a solid nutrient profile! While sweet potatoes are a better option than regular white potatoes, as long as you prepare them without loads of butter and keep them out of the fry pan, you’ll be okay! 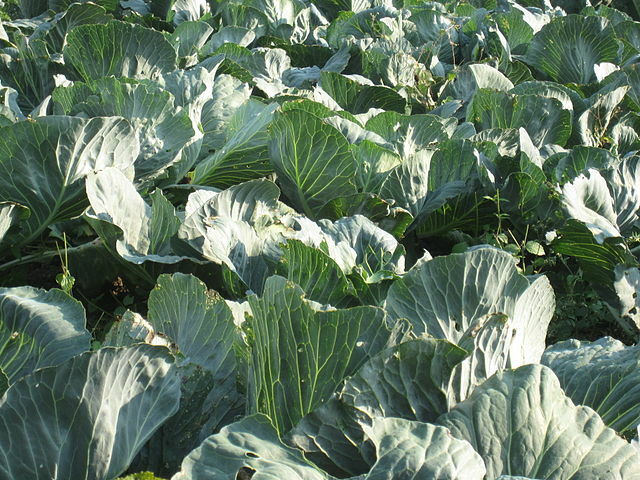 Cabbage is an incredible winter vegetable. It’s an excellent source of several vitamins, high in fiber, and has anti-cancer properties. Serving steamed or fermented cabbage (such as sauerkraut) is especially healthful as it can help lower cholesterol. We should all be eating more of these little nutritional powerhouses! Brussels sprouts have lots of phytochemicals called glucosinolates which have disease-fighting and anti-cancer benefits. This is in addition to their impressive nutrition content! One of the healthiest ways to serve Brussels sprouts is steamed with cracked pepper and sea salt. Top chefs recommend cutting an “X” into the base of the sprout so that it cooks evenly. Turnip greens are one of the most healthy cruciferous vegetables available. Similar to Brussels sprouts, turnip greens are loaded with phytochemicals and boast an incredible amount of vitamins and minerals. For quick serving at your table, chop the stems, toss the leaves in a sauté pan with onions and garlic and cook until they’re soft and tender. Since turnip greens are high in calcium, they may have a slightly bitter flavor. Add them to other greens if you’d prefer a different flavor. Just because it’s the wintertime does not mean you can’t eat fresh vegetables! Putting some of these winter veggies on your table will keep meals interesting and healthy.